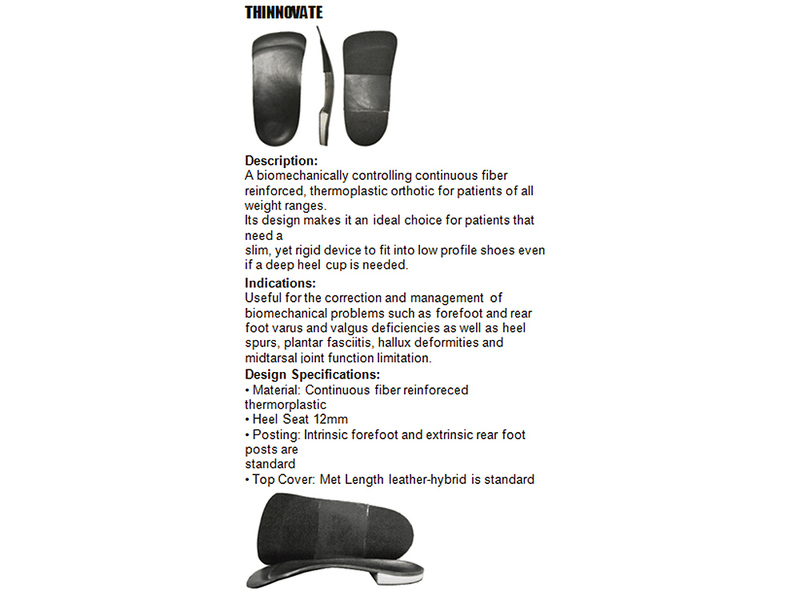 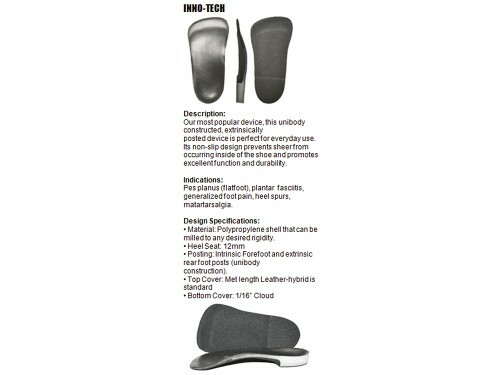 A bio-mechanically controlling continuous fiber reinforced, thermoplastic orthotic for patients of all weight ranges. 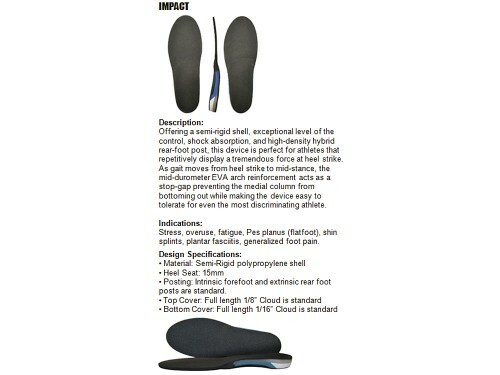 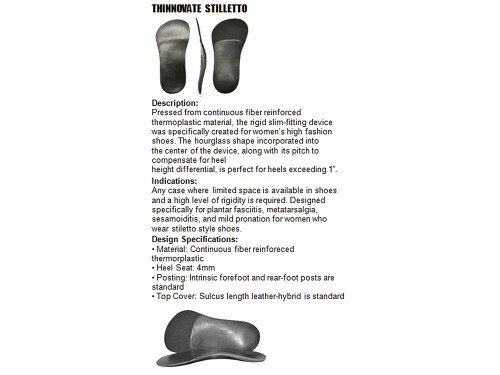 Its design makes it an ideal choice for patients that need a slim, yet rigid device to fit into low profile shoes even if a deep heel cup is needed. 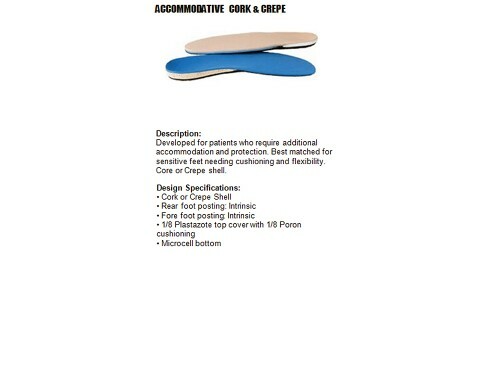 Useful for the correction and management of bio-mechanical problems such as fore foot and rear foot varus and valgus deficiencies as well as heel spurs,plantar fasciitis,hallux deformities and mid-tarsal joint function limitation.